How to Make Money on Fanduel Fantasy Football? Anyone who has taken part in fantasy sports knows that this online activity is anything but a pursuit for money. Monetary motives do not drive the actions of a fantasy sports player or a fantasy football player. Money in the form of cash prizes can incentivize players and prompt them to play more frequently, but the real reason why people take part in fantasy sports is because they want to remain connected with the game at all times in their own ways. Besides, playing fantasy team sports puts you in the shoes of a coach, which is an experience that many people simply relish. Who would not want to be the head of a star studded line-up and then win points based on real performances. There might be a lot of money involved in fantasy football, but most genuine players will tell you that the money matters the least at the end of the day. It is all about the feeling of self fulfilment and being a part of something really big that motivates players to push on and spend their valuable time in front of their computer screens building an imaginary team of stars. Even though fantasy football is not all about getting money, it is important for you to know how to make some money in such online contests. There are two reasons for that. First, fantasy sports takes up a good chunk of your daily time. If this time that is being taken away from your is not being repaid with money, then you will soon lose some degree of interest in the game. Everyone deserves a payout for their efforts. Fantasy sports, unlike gambling, will not turn you greedy for money. Instead, it will make you respect money a bit more than you did and make you realize how difficult it is to earn money by putting together the perfect team with the winning combination. At the very least, you will have newfound respect for all the team coaches that you have criticized over the years for the poor decisions they made on the field. Being a Jose Mourinho, a Van Gaal or a Manuel Pellegrini is not easy. The second reason why you should look to make money on fantasy football is because it is something that you can do quite comfortably once you have mastered the techniques of being more successful. There is no need to earn big money during the first couple of seasons of play. But by the time you are in your third or fourth season, do you not feel that you should reward your efforts, your plans and your strategies with some cash? Yes, you should. Just so you know, fantasy sports provide some mammoth cash prizes that would pique the interest of almost anyone immediately. 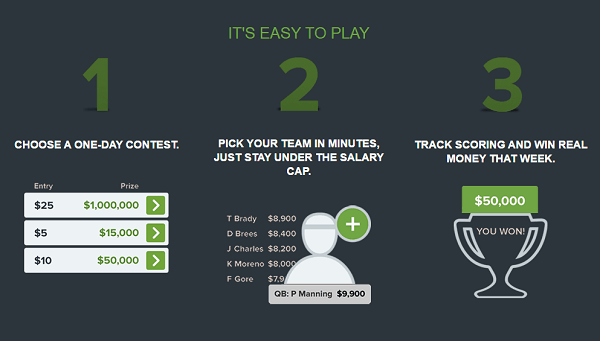 Playing fantasy football on FanDuel is one of the most exciting experiences in the world of fantasy sports. This site boasts one of the best fantasy football systems and puts you in competitions with hundreds and thousands of contestants like you who are chasing glory in the fantasy sphere and a few lucrative cash prizes as well. Playing fantasy football on FanDuel is a wonderful way to eradicate the monotony of playing traditional fantasy sports that often turn out to be boring midway through the season. At FanDuel, you will get everything you love about traditional fantasy sports in combination with the excitement of drafting a new team each and every single day if you desire! How cool is that? That is not it. You get to do all of this while standing a chance to win life changing money. At this point in time, you must be scratching your palms and licking your hands in anticipating of some advice that will help you accumulate some more cash on FanDuel. This is exactly what we have in store for you. 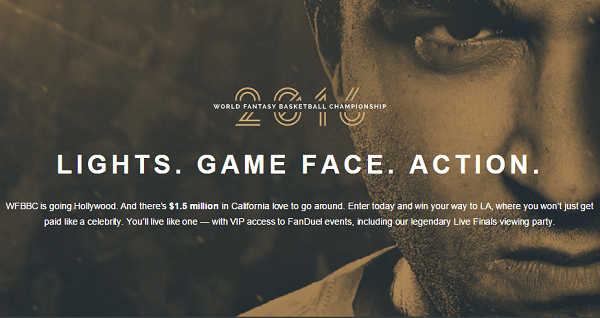 FanDuel is one of the first daily fantasy sports sites in the world. Because of that, there are hundreds and thousands of people participating in the daily contests and tournaments that are offered and organized by FanDuel. Often, when you see such a huge number of competitors, your spirits fall flat and you lose hope to succeed. But there is no need for such deflated emotions when playing on FanDuel. Think of it in this way. With so many people vying for the top spot, all you really need to do is break way from the mainstream and construct an awesome football team to take down a big score. Besides, you can participate in head to heads and 50/50s which are quite similar in nature and gives you a superb chance of winning smaller cash prizes. Even a game like fantasy football needs some practice before excellence can be achieved. But how exactly are you going to practice here? Are they not going to charge you for it? Well, the answer is a delightful no. They say that nothing in life is free, but FanDuel has proven this theory wrong with its freerolls. 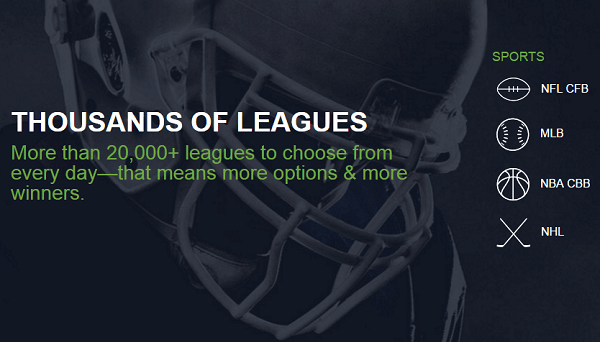 The website is offering up to $20,000 in free fantasy sports leagues each and every single month. This includes a provision for fantasy football as well. Step three of making money playing fantasy football on FanDuel dictates you to be a bargain hunter. The best thing about daily fantasy football is that you can always draft the players that YOU want without having to worry about your friends bagging the trade before you. That being said, you need to make the best use of your $60,000 salary cap. Do not pick the high valued players all the time. Those values are based on previous performances. Look for bargains instead. For example, instead of having Oscar on your side, you could pick Mahrez who has been performing much better.